Posted on March 3, 2017 by Sarah J. What is it that you so desire? But The Tower is not chosen, The Tower chooses who enters its walls. For whatever reason, to enter The Tower means hard journey to the top. There is one, the 25th Bam also called Bam, who enters the tower on his own volition. Not because he was seeking material want, but he was chasing his friend, Rachel, who entered the tower so she could see the stars. Bam encounters the First Floor Guardian of The Tower, Headon, who introduces Bam to the world he has forced entrance to. The Headon is the first to weed out those who are worthy to advance up The Tower. Each level of The Tower is a test to find the best of the best, who are worthy enough to reach the end. Bam, determined to find Rachel, decides to enter The Tower to find her, but once he enters The Tower, Bam realizes not everything is what it seems. The Tower contains many deep and dark secret that he will soon come to find. The Tower of God plays on the idea where the weak will not survive and the strong determine the rules. This webtoon delved deeply into the reasons people act the way they do. What causes someone to choose betrayal over friendship and what is the meaning of a relationship between people are just two of the social question the webtoon asks. Forewarning, there are a lot of characters. The one thing that the author does well is no character, once they are deemed important, is left without proper character development. As the entire story deals with the motives of people, SIU does an fantastic job of explaining how the character’s have come to be. The artwork is not particularly fantastic but I found his play with color interesting as color as it is involved with character development. Keep in mind, the social structure and how The Tower is quite complicated, so it may take a bit to understand The Tower. The development of The Tower, though, is integral to the story. Overall, story is fantastic despite its complexity. This can be a very violent webtoon, so I recommend it for older audiences. Of course, this is only my opinion so why don’t you read it for yourself and decide. The Tower of God is licensed by Line Webtoon and is free to read online. Posted on January 4, 2017 by Sarah J. There is a story behind every song as each note relays an untold emotion or memory. Music can be understood universally as a language without words, but the storyteller is often overlooked. Cornelia Bobo Warsha is a genius instrument repairwoman living in South Africa. Her studio, “Westwood Vibrato,” can restore the sound of any musical instrument. For every instrument she repairs, Cornelia has a special request. She asks to hear the story of the one who plays the instrument. She calls it a hobby, but in a way it is healing for the one telling it. The readers are taken along with Cornelia as she immerse herself into the story. Westwood Vibrato is filled with stories both happy and sad. Stories of broken or lost people connected to memories by the sound of music. This series digs deep into bonds between people and it is other people who make the biggest impact on other people’s lives. Cordelia is especially strong character because despite of her permanent disability she always looks toward the brighter side life and how she can make other people’s lives better. It is written in arcs with short comical interludes that build the story. Each of the arcs focus on a specific type of relationship. There is a wide ranged covered but all are relationships that could happen in everyday life. It is a heartwarming series. I would recommend this to those looking for a story that digs deep into both good and bad emotions. I cannot say this is true for you so discover it for yourself and tell me what you think. Westwood Vibrato is licensed by Line Webtoon and is free to read online. Posted on November 7, 2016 by Sarah J. The story of many through the eyes of one. Until his final one last breath. World War I, the Allied against the Central. Paul falls in line to enter the war for his country. Till he has meet his end. From enemies to classmates, all will fall. That will last long after the war is won. Kemmerich, infection of his leg. Müller, a shot in the stomach. Leer, a shrapnel to the hip. One by one, their lives are more are gone in a blip. Bit by bit Paul’s sanity fades away. As each of his friends turn from life to the grave. The only thing that fills his dreams. Paul lives on to see his friends die. With death, comes surviving guilt. Without a person to understand. Paul is alone with none to hold his hand. Leaves Kat out completely bled. Paul Bäumer dies in October of 1918. No one to support, No one for support. A shadow without hope. Barely, able to cope. Lies of the war creates the “Lost Generation”. They survive without hope and a will. That will never fade as they live. Posted on November 1, 2016 by Sarah J.
Ichigo Kurosaki is a high school student who can see ghosts. Because of this ability, he encounters Rukia Kuchiki, a Soul Reaper who guides souls from the World of the Living to Soul Society (the afterlife and Rukia’s home). Their meeting is not the most fortunate. Rukia is severely wounded saving Ichigo from a fallen soul called a Hollow. Left with no choice, Rukia gives her power to Ichigo to change into a Soul Reaper so he may fight in her stead. Now without power, Rukia is trapped in a human body and must train Ichigo to keep the balance of souls a Soul Reaper. Their partnership is far from easy as it reveals dark secrets that could tip the balance of the world just enough to destroy it all. There are 74 tankobon volumes (manga books) . 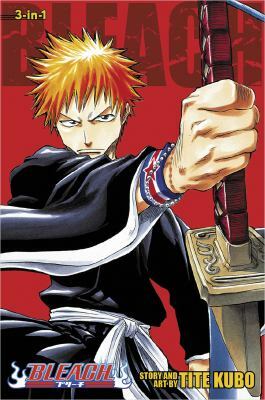 Bleach has sold a total of 84 million copies in Japan, ranking as the sixth best-selling series from Weekly Shōnen Jump as of 2013. Two collectible card games based on the Bleach series have been produced, one in Japan and one in North America. There has been 9 musical productions since 2005. Five of which have been based on the original manga. The rest have been original stories or specials performances. This is not one of my top favorites, but I still consider it a good manga. Compared to most manga, Bleach has one of the most structured settings I have seen. This could be seen as a necessity, due to the large cast of characters, but it helps with understanding how each society functions. This one of my favorite multi-dimensional worlds stories as it goes beyond just the two parallel worlds concept. Rather there are several worlds that balance the each other out. Characters, especially, are well developed with backstories that explain their choices and actions. I will have to say the beginning of the series I enjoyed more than the chapters currently, because the manga now is just trying to end and it has been dragged out far too long. As far as I understand, it has “officially” ended but there are still “extra” chapters to be released. I do recommend this to an older audience as it contains a large quantity of violence and cursing. This manga I would give a 6/10. It could have been better if it had ended earlier but overall, I enjoyed it. Read it for yourself to find out! Bleach is available for checkout from the Mission Viejo Library. Posted on October 28, 2016 by Sarah J. Psychology is the study of behavior and mind, according to the dictionary. To Dr. Frost, it is a study which will hopefully help him understand the what, where and why of feelings like love and sorrow. With snow white hair and a icy personality, it is no wonder he was given that name. At the same time, those traits were not of his doing. In his childhood, Dr. Frost sustained a frontal lobe injury, which resulted in him receiving genius intellect and the lost of the ability of empathy. Yoon Sung-ah is a college student working in her school counseling center as an assistant. Cheerful, outgoing and rather emotional, compared to Dr. Frost, she is the complete opposite of Dr. Frost. These two met as counselor and assistant and begin their story. Sung-ah strives to help Dr. Frost understand emotions again as they assist clients who come to them for help. This is one of the more unusual stories I have read. Firstly, this webtoon does include real facts and methods used by psychologist. Of course, there are several things that are not really true for dramatic purposes. Please keep this in mind while reading. The webtoon has a fantastic blend of comedy and serious moments. There are extra chapters between the main story arc that feature the character in short comedic strips. Art wise, Dr. Frost is not fancy and does not have mixed between styles but the simple style helps when there is complicated explanations concerning the physiological part of the webtoon. I would recommend this for an older audience as it does deal with the darkness of the human mind and what can happen to it. This webtoon is licensed by Line Webtoon and is free to read online. Posted on October 14, 2016 by Sarah J. Today, western cowboy films with their gun slinging and horse riding are largely regarded a past era. 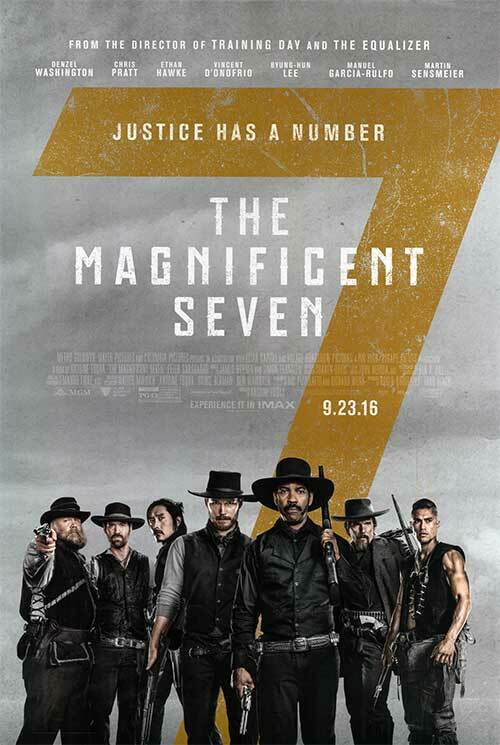 Magnificent Seven may just prove otherwise. I recently had the opportunity to watch this movie in the famed Chinese Theater in Hollywood. (If you have a chance I recommending visiting the theater as it is truly “magnificent”) This movie is actually a remake of a 1960 of the same name, which in turn was based off of 1954 Japanese film Seven Samurai. It is 1879, the mining town of Rose Creek has been taken over by the corrupt Bartholomew Bogue (Peter Sarsgaard). He slaughters anyone in his way including Emma Cullen (Haley Bennett) husband, who tries to stand up to him. Emma, in part for revenge and in part for justice, sets out with her friend, Teddy Q (Luke Grimes), to find someone to help their town. They meet, Sam Chisolm (Denzel Washington), a bounty hunter, who agrees to help after knowing Bogue was involved. With Sam’s help, they assemble a crew of men from all parts of life: gambler Josh Faraday (Chris Pratt), sharpshooter Goodnight Robicheaux (Ethan Hawke), knife-wielding assassin Billy Rocks (Byung-hun Lee), skilled tracker Jack Horne (Vincent D’Onofrio), Comanche warrior Red Harvest (Martin Sensmeier) and notorious Mexican outlaw Vasquez (Manuel Garcia-Rulfo). With this rag-tag crew, they will attempt to drive out Bogue and defend Rose Creek. Overall the can be considered to be average. The storyline does not stick after very long and the main focus of the film seem to be on the fight scenes. I personally felt that Magnificent Seven was underdeveloped in terms of character, but developed the characters enough not to harm the film. There is a large group of main actors and it become very difficult to catch each of their names, but it was help with the characters being very unique in personality. Emma Cullen is a relatively strong female character, which was refreshing. The main cast was obviously an effort to represent diversity of the film but it lead to some parts of the movie seeming to farfetched. Cinematography wise, it does feature the classical sweeping landscapes of western films. This was a one time movie for me. It is great for those who want to see a western film but not so much for me. Note that it has a lot of fighting, and it can go on for a while. This is not recommended for a younger audience. Of course this is only by opinion of the movie, see it for yourself to truly decide. Posted on October 12, 2016 by Sarah J. Magic is normal. Rather, being born under a god is the norm. Some gods are weaker, others are stronger. To be born under a weak god means a lesser chance in both education and society, but a strong god means high school and training which later equals a higher status. There is only one thing in common. All of them can grant a single wish as long as the correct price is paid. Yun Lee-Rang is a child of the cat. Not particularly bad but not strong enough for high school. His childhood friends, Suh Yul-Bi and Hong Ryun, are a pigeon and dragon respectively. Ryun, as he is a dragon, attends high school. Lee-Rang works with Yul-Bi in a delivery restaurant. He is satisfied with his life and has a crush on Yul-Bi. One day, when he is out on a delivery, Lee-Rang is severely beaten by students from a nearby high school, leaving him blind and paralyzed. Filled with despair, he wishes to turn back time. His cat god asks if he is sure and the answer is “yes.” It is done, but what Lee-Rang finds is that not only has he changed his fate but lives of everyone else. In this new timeline, Yul-Bi dies. Suddenly, the principal of Ryun’s high school invites Lee-Rang to enter his high school. Lee-Rang accepts in the hopes that he will learn to turn time again. This new timeline opens doors that shouldn’t have been opened and Lee-Rang learns that what is seen is not always what it is. This is one of the earliest webtoons I have read and I have found it refreshing. It has a new twist to a power concept I have seen several times. There is a rollercoaster, which this webtoon takes you. There are the crazy light hearted monuments to the darkest of the dark time. The character are well developed and the changes in Lee-Rung personality and maturity is certainly strong. The artwork is simply beautiful. As webtoons are primarily released as color strips online (hence the name) artist have the opportunity to mix art styles and colors. Honey B uses a more realistic styles for the gods compared the the characters creating a incredible contrast. It has been completed and the ending my opinion is quite satisfying. Of course, I cannot say that for you so why don’t you read it for yourself.